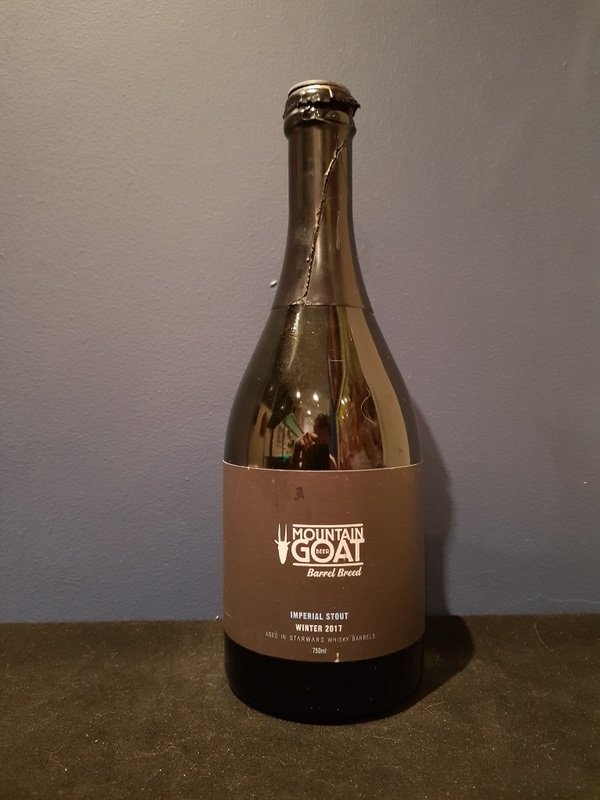 Beer #2700 is an imperial stout brewed by Mountain Goat in Richmond, Victoria, Australia. Another milestone! Boasting a massive 12.5% ABV, this imperial stout manages to hide the alcohol extremely well although the mouthfeel is a bit on the thin side for an imperial. It’s chocolatey with some sweetness, smooth and creamy. Although I’ve had whiskey barrel aged beers in the past, I don’t think this one works as well as others because of its rather simplistic taste profile. All I got was some roastiness and aforementioned chocolate, and a massive hit from the oak. At $45 for a bottle it’s a little disappointing. The bottle size is 750ML with an alcohol content of 12.50% (containing approximately 7.40 AU / 9.40 UK standard drinks), and it costs $35.00.